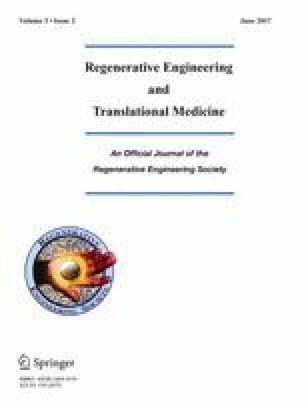 Cell-based regenerative medicine strategies hold a great potential to revolutionize the treatment of a large number of injuries with limited regenerative potential. However, the effectiveness of the simple injection of a cell suspension in a target site/tissue of action is often limited by the dispersion of cells toward other tissues, hindering their therapeutic action. Nevertheless, the development of a custom-made cell carrier that can perfectly fit a patient’s defect and be ready on demand is still a challenging task. The present study proposes the development of an off-the-shelf injectable cell delivery system combining a photocross-linkable hyaluronic acid (HA) matrix enriched with platelet lysate (PL) and human adipose tissue-derived stem cells (hASCs), which can be stored using standard cryopreservation methods and used when required. The obtained results indicate that the mechanical and viscoelastic properties of the system are improved in the presence of cells and no significant differences were identified between cell-laden hydrogels produced before or after cryopreservation. In PL-enriched hydrogels, cells tend to better recover from cryopreservation maintaining the values of cell viability and DNA content. Moreover, viable cells laden in our system and expressing stemness markers were detected after 21 days in culture. Altogether, the results obtained in this work demonstrate the potential of the developed strategy as an injectable cell delivery system for ready-to-use applications or as a cryopreserved product to be available on demand for cell-based therapies. The online version of this article (doi: 10.1007/s40883-017-0029-8) contains supplementary material, which is available to authorized users. The authors wish to acknowledge the financial support from the Portuguese Foundation for Science and Technology (FCT) for the PhD grant of R.C-A (SFRH/BD/96593/2013), post-doctoral grant of M.T.R (SFRH/BPD/111729/2015), grant of M.E.G. (IF/00685/2012) and Recognize project (UTAP-ICDT/CTM-BIO/0023/2014), RL3-TECT -NORTE-07-0124-FEDER-000020 project co-financed by ON.2 (NSRF) through ERD. The authors also acknowledge the financial support from FCT/MCTES (Fundação para a Ciência e a Tecnologia/Ministério da Ciência, Tecnologia, e Ensino Superior) and the Fundo Social Europeu through Programa Operacional do Capital Humano (FSE/POCH) PD/59/2013 for the PhD grant of A.I.G (PD/BD/113802/2015), and LA ICVS-3Bs (UID/Multi/50026/2013). The authors would also thank to Serviço de Imuno-Hemoterapia, Centro Hospitalar São João, EPE (Porto, Portugal) for providing human platelet concentrate samples. Yoo KH, Jang IK, Lee MW. Comparison of immunomodulatory properties of mesenchymal stem cells derived from adult human tissues. 2009; 259(2):150–6. doi: 10.1016/j.cellimm.2009.06.010.